The Leading Orthopaedics Hospitals in India has introduced a new medical procedure for knee surgeries called ‘Unicondylar knee Arthroplasty’. This new medical procedure is minimally invasive and can be performed by making small incision. According to orthopaedic surgeon at the hospital, Unicondylar knee arthroplasty procedure is new to India and has lot of advantages over the total knee replacement surgery. This medical procedure is new to India and there is need to create awareness among both doctors and patients. As this procedure is minimally invasive, durable and enables fast recovery with maximum functionality, very soon it will replace the total knee replacement surgery. Apart from conducting awareness program on the new medical procedure, the hospital has also conducted a live surgery and provided ‘bone model’ training to 60 Orthopaedic Surgeons from across the country. According to healthcare experts, severe Arthritis of the knee has become very common condition in Indian population. There are several reasons for this Increasing life expectancy, Increasing need to remain active till late, rising obesity levels and sedentary levels have all contributed to this. With rising affordability, increasing awareness and availability of technology and expertise this has led to sudden increase in no of ‘Knee Replacement surgeries’. Currently every year over 1 lac ‘Knee Replacement Surgeries’ are being performed in India. 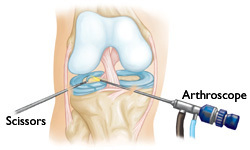 However in all these patients with arthritis the surgery that is being performed is the ‘Total Knee Replacement’ surgery where the entire knee joint surface is replaced. But there is a particular problem in younger patients. The Total Knee Replacement surgery has a limited lifespan of 15 20 years. After this revision surgeries are very difficult, very expensive and don’t work that well. In India especially arthritis affects early and more and more ‘Total Knee Replacement’ surgeries are being performed around the age of 50 years and all these patients will face a huge problem when they reach the age of 70 years or so. To overcome these problems, the hospital has introduced ‘Unicondylar Knee Replacement’ a minimally invasive medical procedure for the first time in India. 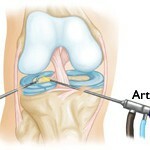 With this procedure only a very small part of the knee, the exact portion that is worn off will be replaced. The result is that most of the original knee surface is preserved and if and when a revision surgery is required (usually after 15-20 years) it will be very easy to perform and the subsequent results will be very good with most of the lasting another 20 years or so. 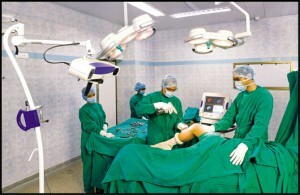 Effectively this surgery means postponing ‘Total Knee Replacement’ surgery for 20 years.